Somehow, just somehow, I convinced Derrick to take "real" outfit photos of me. I've been easing him in with the iPhone #OOTD's, but we made a big step with actual camera photos. The progress has slightly stalled (considering these photos were taken a month ago, lol), but next week we're on our way to Hawaii, so I'm forcing the camera back into his hands. But, in all seriousness, I know you guys have missed the outfit photos, so I'll bring them back as best I can! Starting with this one. 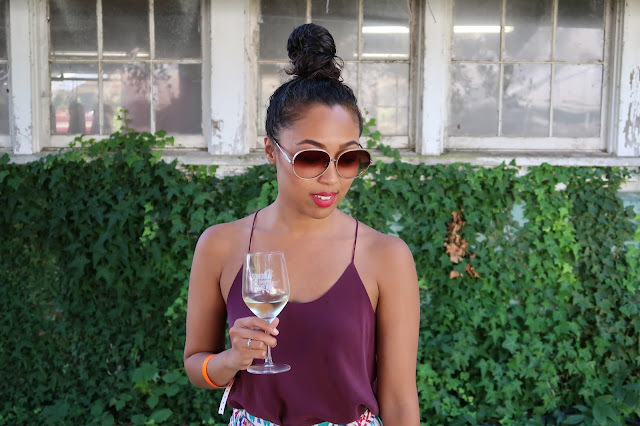 We took a trip to wine country (yes, again) and I couldn't resist playing matchy-matchy. Of course, we lucked out with the red leaves, red wine, and red bag, but you know what they say - luck is what happens when preparation meets opportunity (and we were prepared). 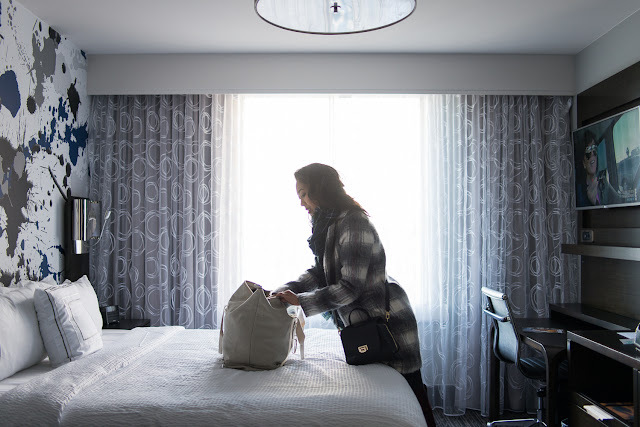 Let me introduce you to one of San Francisco's biggest hidden gems - the recently reopened Hilton Cityscape. I was invited to check out San Francisco's views in a way unlike before. Sure, I've hopped on my roof to marvel over the beautiful sunsets, been to the top of the Transamerica to see the city from way up high, and have obsessed over the the sights from the vantage points at the parks (Corona Heights is my new favorite, btw). So, could a hotel really offer something I haven't seen? In short, yes. Let me tell you a (funny? sad? so sad it's funny?) story. A couple of weekends ago, my boyfriend somehow convinced me to endure hours of torrential downpour, on an island, with no umbrella. How might you ask? The promise of music. Did that promise live up to its word? Well, yes and no, but the no isn't his fault. How did I survive you ask? Layers... and bowl.s Lots and lots of layers, and bowls and bowls of ramen. Funnily enough, there are no photos of said ramen from said weekend, but you'll have to believe me when I say, Itani saved us both. Warm, delicious, and fulfilling - Itani's tiny stand at TIMF couldn't have been more of a saving grace. But just because I don't have photos from the festival that will forever go down in both of our books as the worst ever (lol), doesn't mean I don't have photos. Timing proved to be on my side, as just the week before we attended Itani's menu preview event at their Oakland shop. The thing about me is wherever I go, I find the ramen. Oakland - you've shown me a good bowl. Believe it not, this week marks my first full week back in San Francisco since August. If you've been following along on Instagram, then you'll know that first I took a trip to London and Paris in September, then finished the month in Austin! I have a ton of photos from my European travels that I can't wait to share - but first, let's talk Texas. Austin holds a very special place in my heart. The people are nice, the food is delicious, the music and culture is palpable throughout, and the pace of life is a nice change to someone (like myself) who is used to the go, go, go mentality of SF. When I think about Austin, one of the things that I admire the most is how nice everyone is - if you've been, you know what I'm talking about. It's the kind of nice that I wish everyone could be, everywhere. It's a city I very much see myself in one day, if I ever leave SF. It will be a city where I'll say, "I came for the music, but stayed for the company." Speaking of the music - what was it that brought me to Austin? 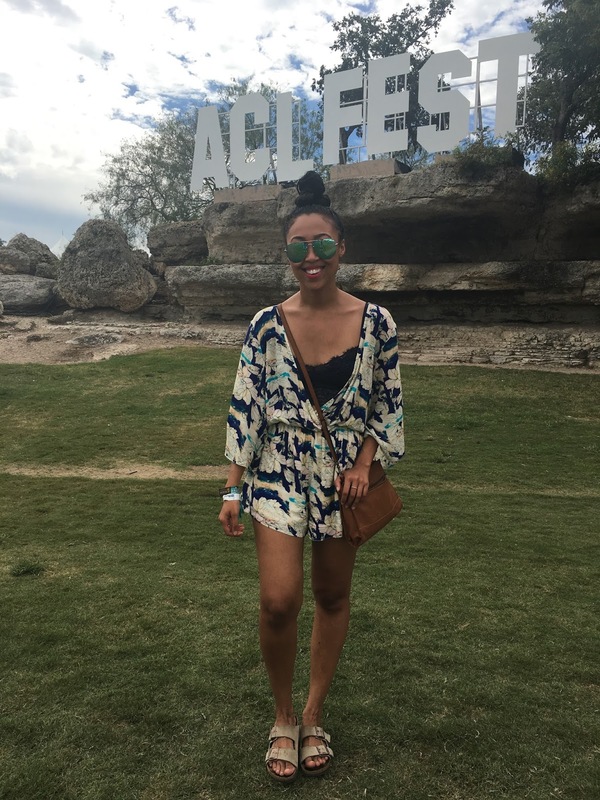 ACL. Of course, right? But, by now, it's no surprise that if you have music, I will travel. As such, here's a mini photo recap of the days I spent dancing in the Lone Star state. I know what you're thinking. Another post on wine?? Okay, so it's been a big wine year for this little lady, but you know what? Girl's gotta grow up some time. In all seriousness, you guys already know that I'm a big fan of Souvla. 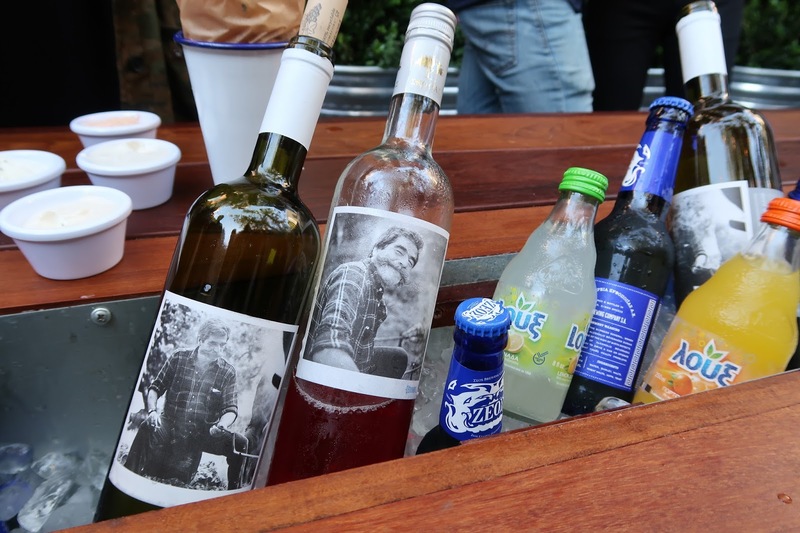 So, when we were invited to celebrate Souvla's new private label Greek wines, we were there in a flash. There are some great combinations in life, classics, if you may. Peanut butter and jelly, wine and cheese, spaghetti and meatballs - the list goes on, my friends. One pairing that I haven't had for ages, but can never say no to is surf and turf. 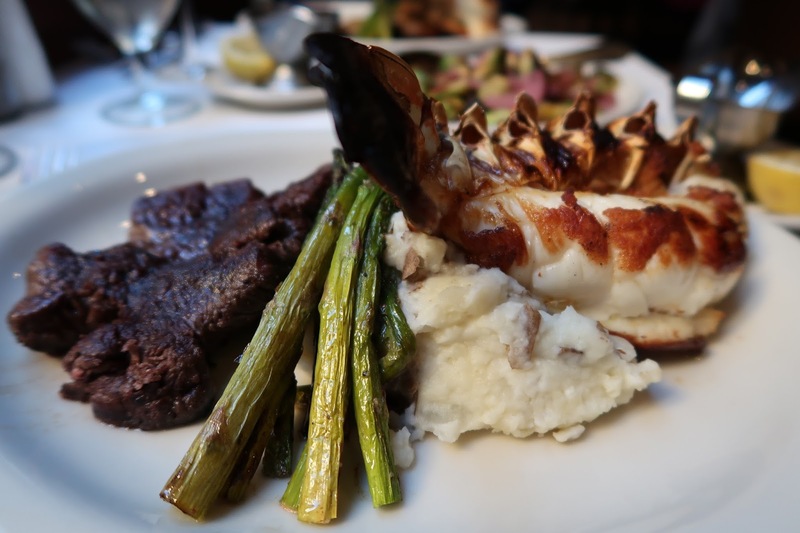 Ask yourselves - when is the last time you sat down for some delicious steak and lobster? If it's been too long to recall, I'm hoping this post will help change that. I know what you're thinking - is she turning into a wine-o? Perhaps - especially after my trip to France (but that's a story for another blog post!). 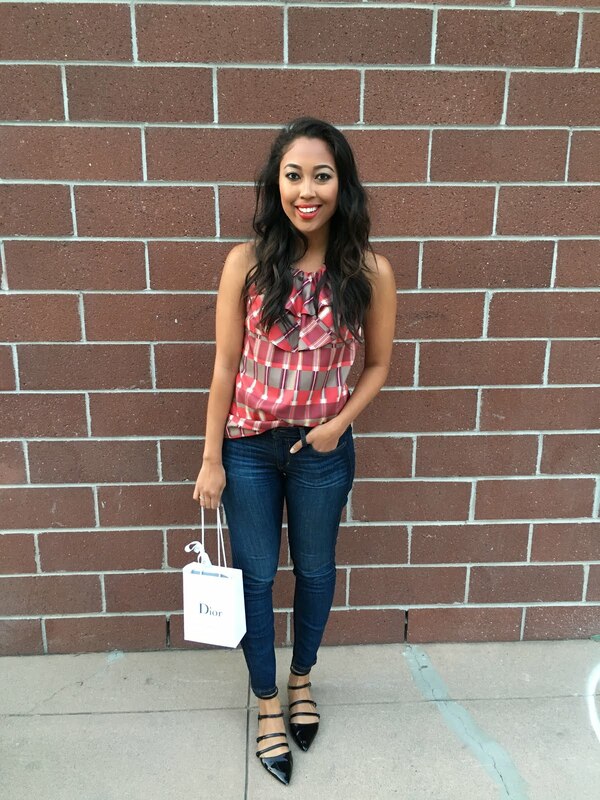 In any case, before we get into the wine, I wanted to share a quick outfit post, since it's been a while! While I do spend more time capturing my eats vs. my 'fits these days, every now and then, I sneak a little fa-shun into this ole space to keep it interesting. After all, that is how this space on the interwebs started in the first place, right? Eat, drink and be merry. Isn't that what it's all about? Give me a reason to celebrate food and I'm there. 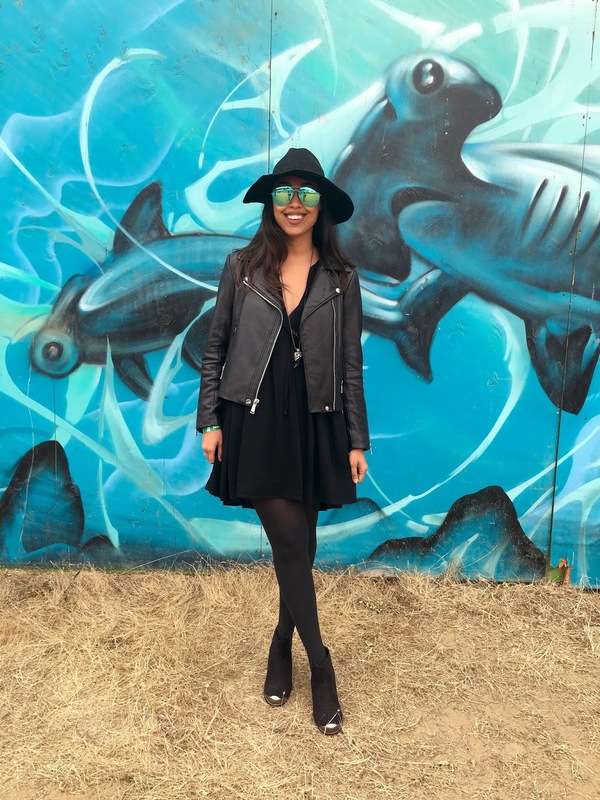 Just late last month, I had the pleasure of attending another year of Eat Drink SF at Fort Mason. (You may remember the last time I visited, here!) This year, I attended on Sunday, which was a special celebration in honor of the 80th anniversary of the Golden Gate Restaurant Association. On this day of the festival, "legacy restaurants" (those that had been open for at least 20 years) were present, sharing some special bites. Some legacy restaurants you may know of include Alfred's Steakhouse, Sutro's at the Cliff House and Tosca Cafe! Newer restaurants were present too, but it was the perfect mix of new and old that made the day special. A few favorite bites included: Pellegrino's salt and pepper fried chicken (yes, Pellegrino! ), Teleferic Barcelona's "El Torito" (think: chorizo in a blanket), and Scoma's smoked salmon with cucumber + fresh horseradish. One thing I love most about San Francisco is all of the amazing restaurants and corresponding food festivals that highlight the talent in the bay. Eat Drink SF is hands down one of my very favorites. Check out the mouthwatering photos at the jump to see why! Mason Pacific, a quaint bistro located on the corner of Mason and Pacific, is unassuming to the eye, but filled with delicious bites and an extraordinary collection of wine. Once inside, your eye can't help but take you to the beautiful large glass windows, as classic San Francisco cable cars roll by. Chef Max Mickinnon crafted the menu, while sommeliers Dustin Wilson and Eric Railsback have curated the wine list. Mason Pacific recently reopened and I was thrilled to experience the restaurants brand-spanking-new dinner menu. Ah, summer, you sweet, sweet thing. To say it's been a chill summer would be somewhat of a stretch. I've been putting in several hours at the office and all of my vacation time has been saved up for the last quarter of the year. Luckily for me, I was able to skip town for a few days to join derma e for their #zeninthebu Malibu escape. 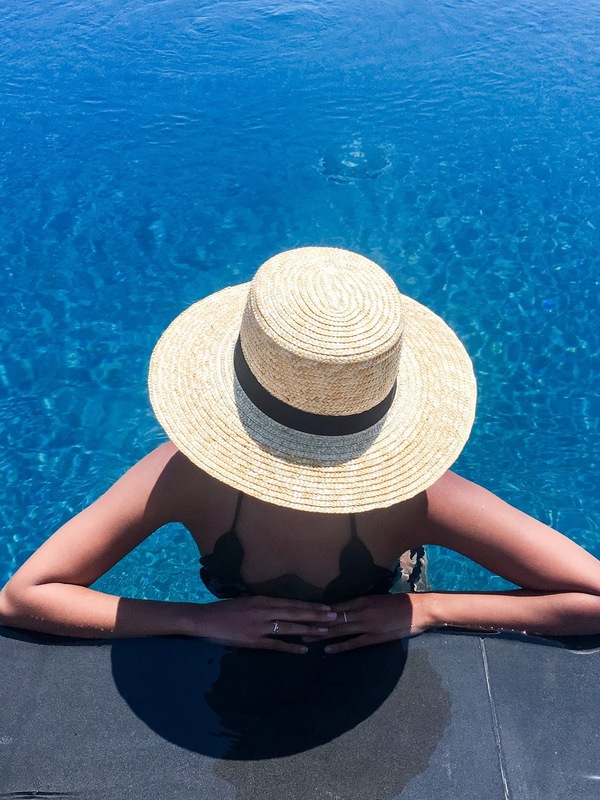 If you know me, then you know I love the sun - combine that with hours of yoga, beach time, poolside tanning, swimming, delicious (and healthy!) 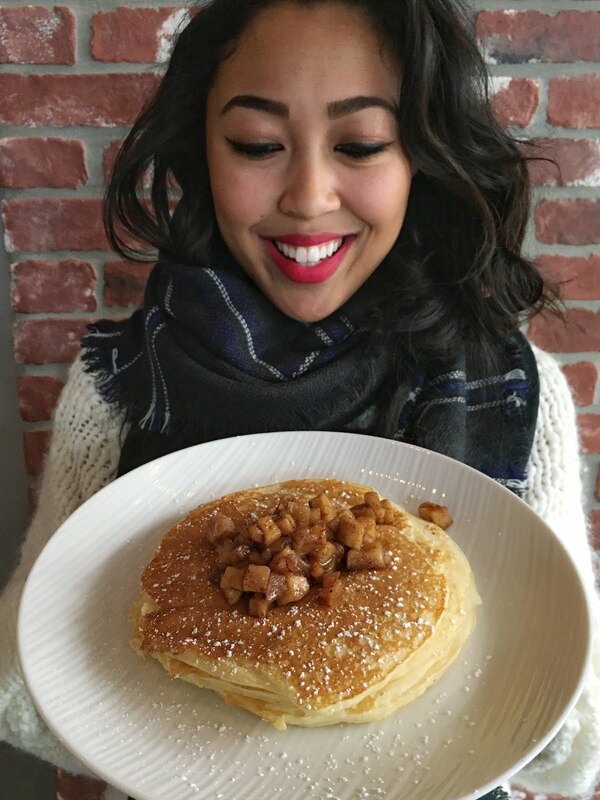 eats, massages and flower crowns, and you've got yourself a very, very happy girl. 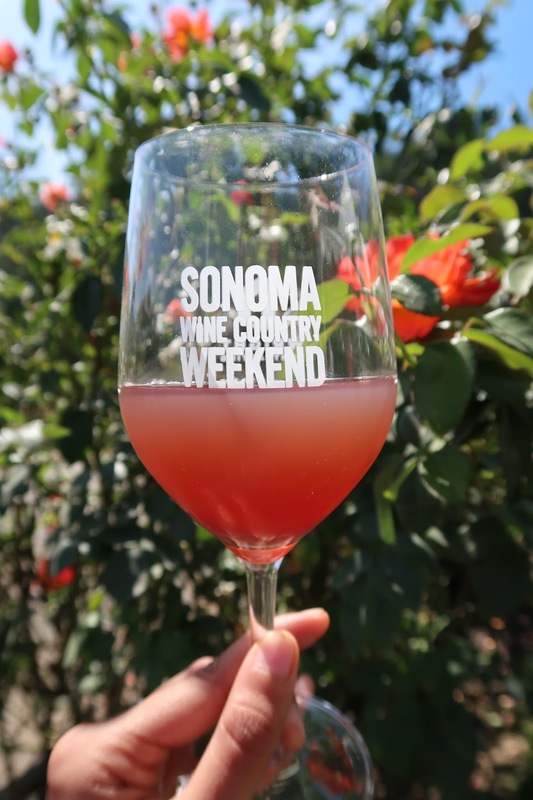 I've been fortunate enough to make several trips to wine country this year. But, in complete honesty, I've never been much of a wine-o. That is - until this year. I'm far, far, far from being a wine connoisseur, despite how many wine tastings I've been to. Though, I'd like to think the more tastings I take part in, the closer I get to figuring out what I like in a fine wine. 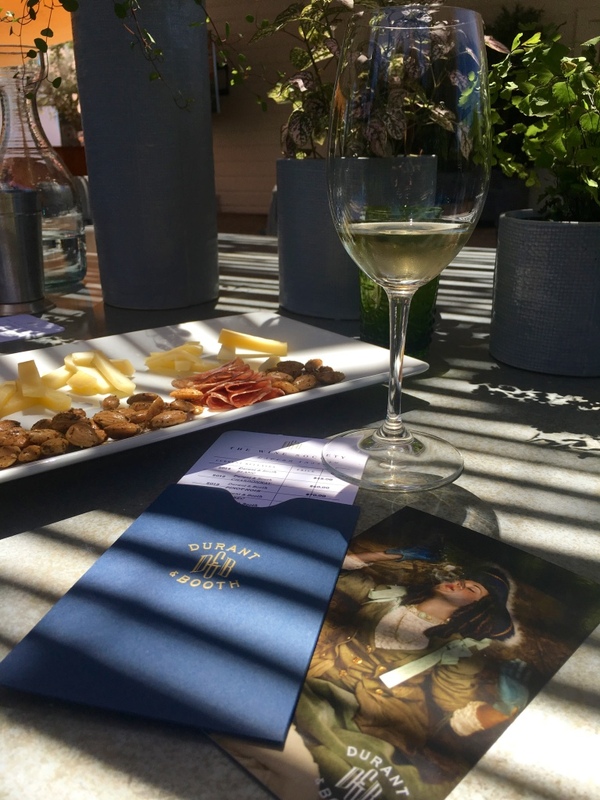 My last wine tasting this summer season was at Durant and Booth, a new wine house located in Oakville in Napa Valley. Ever since my visit at the end of July, I have been dreaming about my next visit. After the jump, you'll see why. We made it! The final day of Outside Lands and what do you know... the sun came out to play! Which couldn't have worked out better because I saved this pretty set for last in hopes that it'd be warm enough to wear. Luckily for me, it was. You know from posts past that I love me a good maxi. What do I love more than a good maxi? 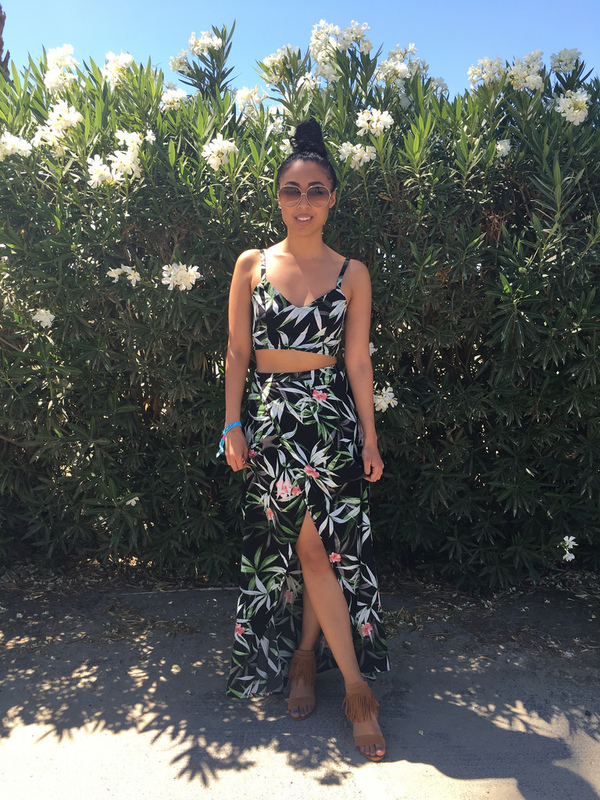 A good maxi set. Tobi, you sure came through for your girl. Day two was colder than the first, which surprisingly enough, wasn't something I prepared for. Yeah, yeah - I went on and on about how prepared I was for day one, but couldn't get it together for day two? Well, let me just tell you that everyone I was with was equally as surprised by how much colder it was on Saturday. Thanks a lot, weather app! But, in all seriousness, I didn't do too bad. On day two, I came back in black. At one point I looked like I was from The Craft - I wore this beautiful matte brown lippie that actually made me look super goth, so I had to pull a switcheroo right before stepping out the door to a deeper tone. All in all? I think I nailed it... (come on, I had to!). There's no place that makes me happier than a festival - the music, the food, the good vibes - it's all bliss. Outside Lands is my second festival of 2016 (Coachella being my first of the year), and I still have two more to go (Austin City Limits at the end of next month and Treasure Island in October)! In fact, I think this year marks my sixth year in a row of OSL-ing (check out some of my past OSL years, here). So, yeah, I guess you can say I know a thing or two about that festival life. 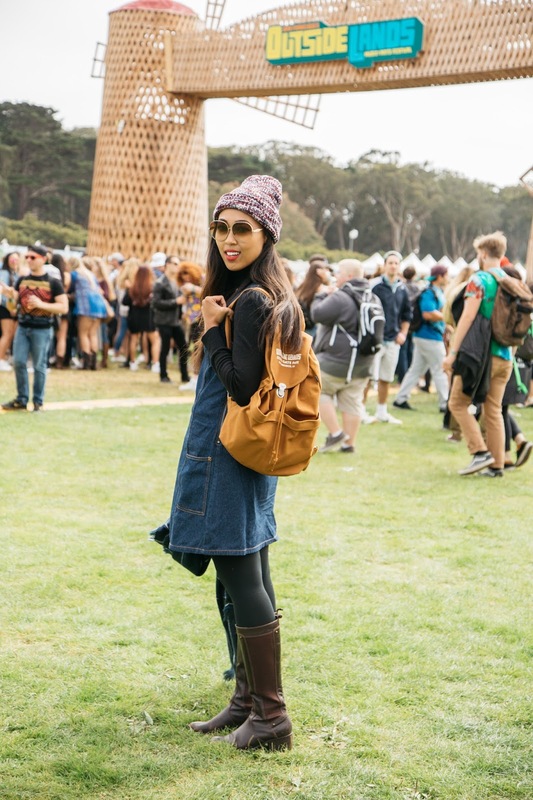 One of the best things about festivals is the creativity associated with what to wear - I, myself, am much more partial to the warmer festivals, because it seems sort of wrong having to lug around a parka, scarf, beanie, and more, right? Well, OSL is one of the festivals where the cold is just a given (thanks, Karl). Luckily for me, this year Tobi had my back. If there's one thing I love, it's a three-day weekend. They're far and few, so when they come around, I'm all about them. More often than not, I prefer to get out of town and get to exploring. But, when an extra day is involved, I love hosting, having people over, and sometimes, taking that extra day just for me! 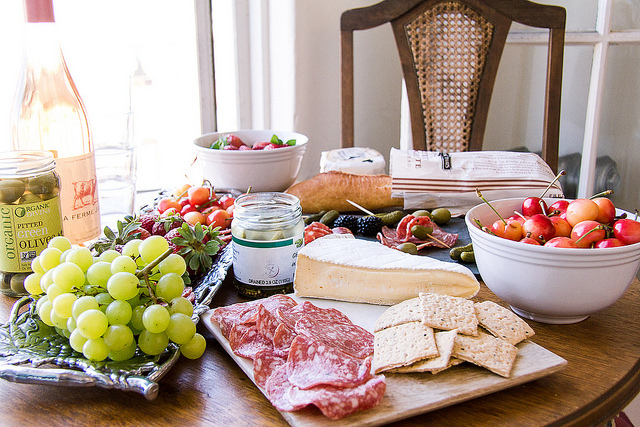 Sometimes, it's nice to put together a little somethin' somethin' - whatever the occasion. Girls' night? You betcha. Date night for two? Yes, yes. Solo night in? Absolutely. So, in the spirit of the three day weekend, I've partnered with Columbus Craft Meats to give you three easy peasy charcuterie plate ideas. You can take one, take all, mix, match - whatever works for you! Ah, the long-awaited Coachella recap. I know, I know - it's been a long-time coming, but better late than never, right? This year's Coachella will go down as one of my favorites. Truth be told, I'd seen nearly everyone on the bill at least once before, 2013's dust storm had nothing on whatever this year's deal was, and I inhaled pounds and pounds of dust and dirt. But, I spent three days in the desert (aka my favorite place) with my best friend and got to dance around like a flower child more than you know. Hence, another successful festival in the books. I've been trying to make more time in my week for the stuff I love - yoga, blogging, weekly bouquet runs - aka "me" time. Different from my last dose of "me" time, the things I'm doing now are less about mindless relaxation (otherwise known as vegging out, or Buffy marathons on Netflix) and more about personal productivity and overall zen. In that "zen" bucket includes elusive massages (counting down the days until my next one!) and pimping out (yes, I said "pimping") my beauty routine. And what is more "pimp" than a fabulous facial? Not too much. So, when COSMEDIX invited me to try their customized facial at SenSpa, it couldn't have come at a better time. 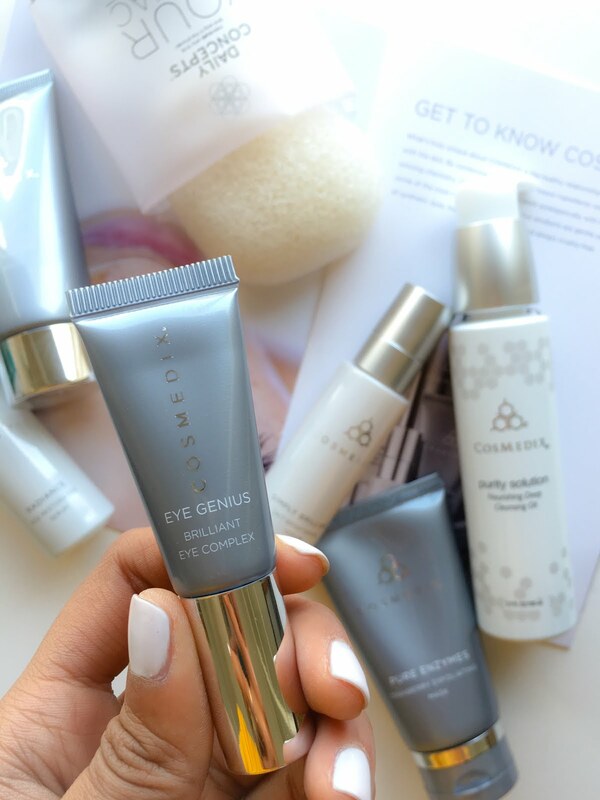 For those who may not be familiar (and truth be told, I wasn't until my facial), COSMEDIX is a skincare brand that focuses on using "the science of nature to deliver results." Their tagline, "Clinically smart. Naturally beautiful," best describes their science + nature duo. I sourced the interwebs long and hard to find these sneaks (which, conveniently enough, you can't see in the preview photo above, but...) and then I found them. Adidas Superstar, you're a hard one to find. But, like all good things, it was very much worth the wait. These classic kicks even inspired this outfit, which I call a cross between Miami Vice and 90's revival. I'm not really sure which one I was going for, but whatever works. Also, this is the first time since I was maybe 5? that I put my hair up in a pony. Between me and you, I think it just adds to the look. Earlier this month, I was treated to a weekday fun lunch at Gaspar Brasserie. It's not often that I make it to a sit-down lunch during the week (that work life, you know?). But every now and then, be it a special occasion or event, I get to sneak out and enjoy some sit-down noms. This was one of those times. It's not often that you're offered a date with Dior. So when Christian comes a-calling, you gotta answer. The day after I returned from my Coachella / SoCal adventure, I got in a car and made my way down to the new Dior Beauty boutique at the Westfield Valley Fair Mall in Santa Clara. It's actually one of three brand new boutiques solely dedicated to beauty opening up this year - meaning makeup, skincare and fragrance all in one place. Oh, oh and did I mention the boutique is the largest one in the country? Yeah - endless cosmetics, you guys. Starting this month, they'll even have a private spa room for facials, so you can get that full beauty game going in a day's visit. So, you can see why I didn't want to miss out on previewing the new space, right? Hey, we've always, always been honest with one another, right? So, how about we clear the air? My name is Chanda and I have Blogger's Block. Blogger's block - it's a real thing, I'm sure of it. 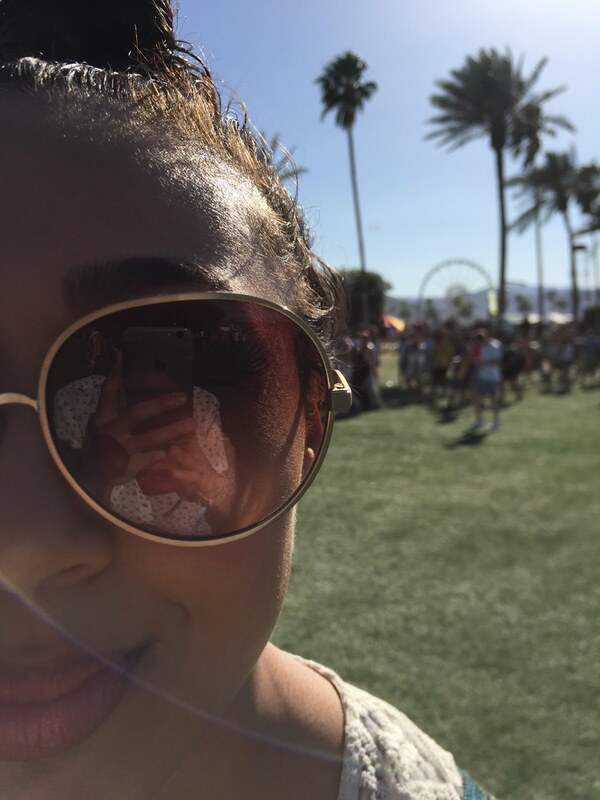 You may have noticed that since Coachella, I've been on a bit of a blogging break. Call it blogger fatigue (hey, I've been at this for almost six years, you guys! ), or what have you, but it's real and it's been hitting me hard. In the time that I've been away, I've been busy bee-ing it up in real life - attending events (which I'm so very grateful to be invited to), hanging out with friends (and NOT 'gramming about it - kinda sorta real hard for a chronic social media-er), listening to Drake's new album (#views), and just taking a general breather for myself (only child syndrome embraces the "me" time real hard). But, because this little space on the internet means so much to me, not a day has gone by in which I haven't thought about it. And because I think about it (and you), I'm here trying to mend my ways. I may post less often that I used to, but I'm still very, very grateful for all of you who still poke around every now and then to see what I'm up to. So, with that, here's my attempt at filling you in on the last month. 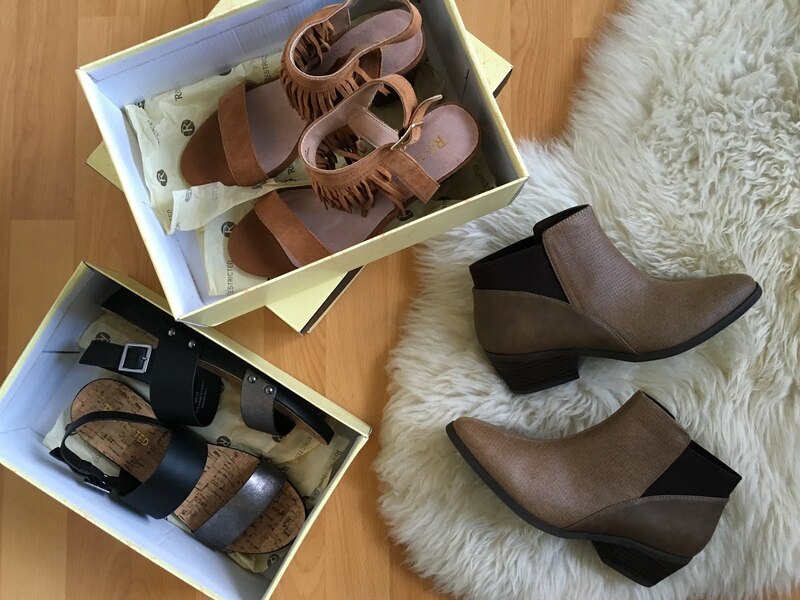 Festival Footwear with Restricted Shoes + GIVEAWAY! WooHoo! It's my favorite time of the year - you know what it is. Festival season! I'm a festival girl at heart - the music, the food, the atmosphere, the overall joy of dancing with zero inhibitions - it's all my favorite. I've gone to a my fair share of festivals - Outside Lands, Treasure Island, Austin City Limits, BottleRock - but there's nothing like the one that kicks off the season, my dear, Coachella. This year, I'm partnering with Restricted for another round of my take on festive footwear and all-day dancing shoes. You may remember we worked together for Coachella (here) and Outside Lands (here), so I'm super stoked to head to another festival with them! I'm obviously a big proponent of comfortable, but fashionable footwear, and if it matters anywhere, it matters at a music festival. You're on your feet for hours on end, dancing, walking, running, you name it, so it's important to keep your feet happy - especially if you want to make it for a full three-day stint! 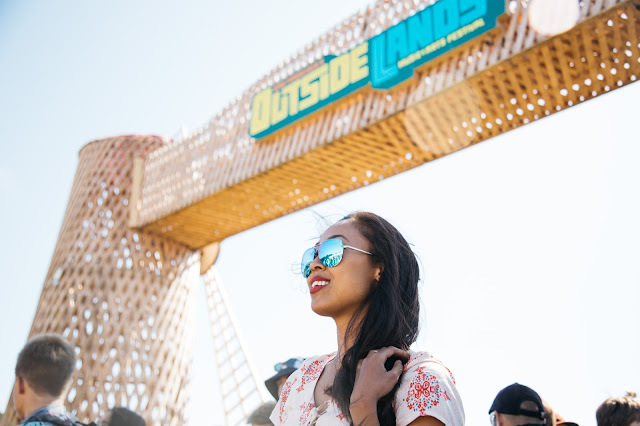 Read more to see what I've picked out to keep my feet company this time around, to learn about my Coachella plans and how you can see live updates from the festival, anddd, to find out how you can find a gift card to Restricted! I'm lucky enough to have food on my plate everyday and a plethora of restaurants to choose from any time I dine out. It's never something that crosses my mind twice - where the next meal is coming from, or if I'll even have enough to eat. But, not everyone is that lucky. Did you know that in California alone, more than 1 in 4 children don't know where their next meal will come from? Did you know that 23.1% of children in California live in poverty? In San Francisco alone, 37% of demand for food assistance is unmet. Those are some pretty startling facts, my friends. This year, I'm partnering with No Kid Hungry to raise awareness about their 9th annual Taste of the Nation event here in San Francisco, which takes place this Thursday, March 24th at the City View at the Metreon. The No Kid Hungry campaign aims to end child hunger in America by ensuring that children get the food they need, each and every day. 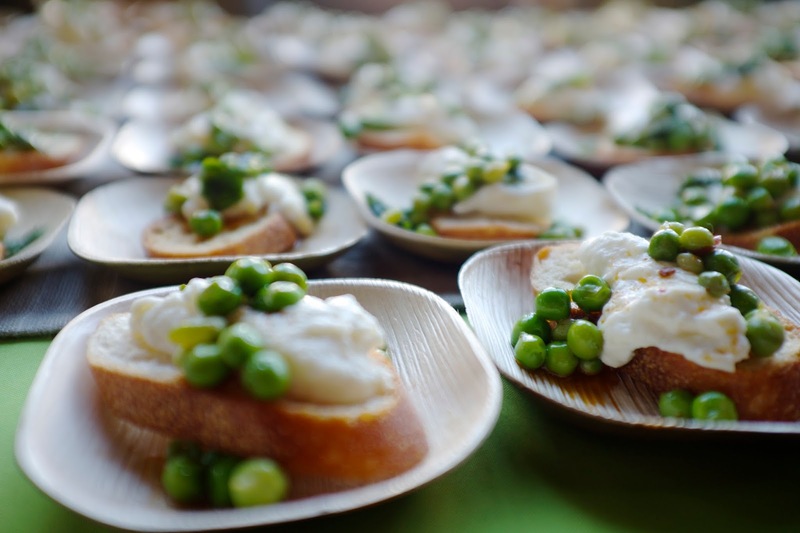 Taste of the Nation brings together the city's top restaurants, wineries, breweries and more to help donate their time and culinary skills to help raise proceeds to fight childhood hunger. All proceeds from ticket purchases go straight to the beneficiaries who help bring food to locals in need. Didn't I tell you that I live in these pants? I really do. Turns out, my love for classics and basics still remains true, too. You've probably noticed by now, but my style is really very simple - I'm not much for all the bells and whistles. Just give me the basics and I'll find my way into making them mine. More often than not, that means me rocking red as an accent color - whether it's my lips (and it usually is), or my favorite coral bucket with flats to match, it's there (just look for it). Red is just one of those colors that makes an outfit pop like none other, and I can't help but love it. I don't know that I've loved a series of photos as much as these - they're so clean and effortless. I give mad props to JennyMay for that. For this look, I pieced together some old faves with some new ones. The draped jacket has been a nice addition to my closet - I must have about six green coats now, but when you like something, you like something. I paired it with a button up camo / leopard / spotted? print blouse I've had in my closet for years now and my favorite pants ever. (They're so comfy, you guys!) As for accessories, I recently received this leather backpack from J.Jill and I swear I get compliments on it, every time I wear it out. It's so classic - I can't wait until the leather softens and it has some wear to it. Added some sunnies and mules to finish off the look and voila! Sometimes, it's awesome to try something new. So on this day, I met up with Fabio. whose work I've been a fan of for some time, and we did a quick shoot as the sun was setting. I've never experimented with nighttime shots, but Fabio's practically a pro in them, so I knew I was in good hands. I decided to sport my new Benny Gold x Miller High Life collab tee paired with some comfy (and super duper baggy) boyfriend jeans and some heels to dress it all up. For those who may not be familiar, Benny Gold is a local SF-based designer who specializes in menswear. He's got some pretty cool tees, the cutest kids ever, and a famous little pup named Levi. A few weeks ago, Benny and Miller threw a little celebration party for the launch of their collab - if you haven't yet seen the cans, scroll below and take a peek. I was pretty stoked to get my hands on one of their tees, which encompasses the two brands' mantras, "Stay Gold," and "Live the High Life." If you ask me, I think Fabio did a great job in encompassing that feeling. 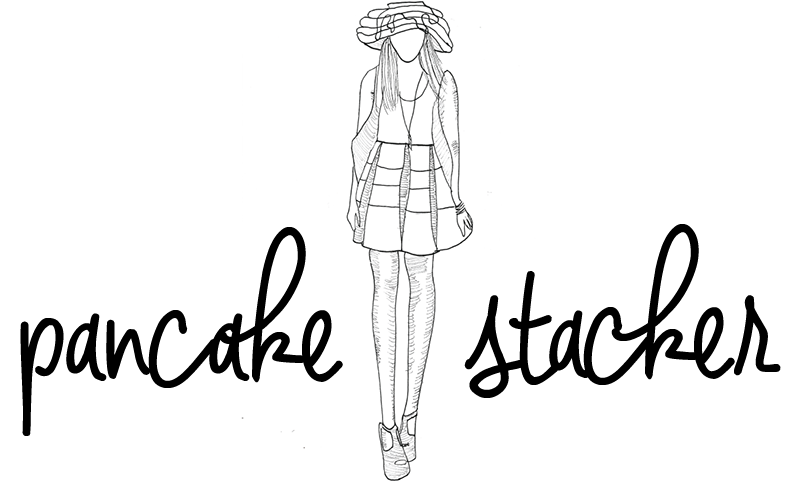 Stacker Style: Can I Wear Birks with That? 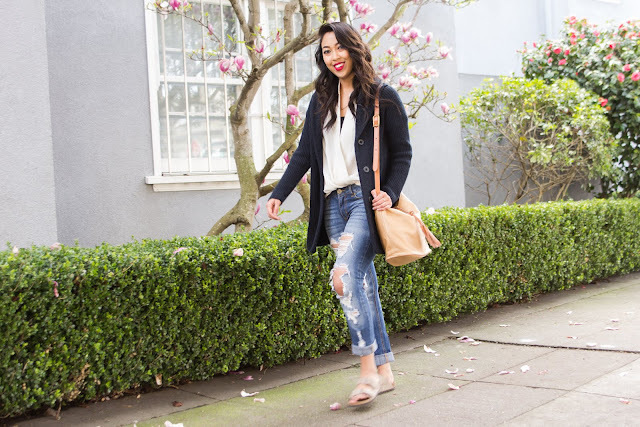 More often than not, I find myself asking how I can make my outfit comfier without sacrificing style. Sometimes it gets tricky. I end up going through checkpoints of: "Can I really wear that oversized sweater without looking like I just rolled out of bed," or "Hmm.. Does this look okay with flats," or even, "Does this make me look homeless chic, or just homeless?" Really. This outfit is a perfect example of how I have managed to balance the art of style and comfort. I originally planned to wear these chic mules with this look (made it look very put together), but right before heading out the door I asked myself (and Jenny), "Can I wear Birks with this?" We both mutually agreed that Birks were just fine and my feet were that much more happier for it. Ultimately, the trick to getting away with anything is just putting on some red lipstick (and dry shampoo). You can quote me on that. You've seen the snaps and the 'grams, but it's time to do this place justice with this week's edition of Food Friday. 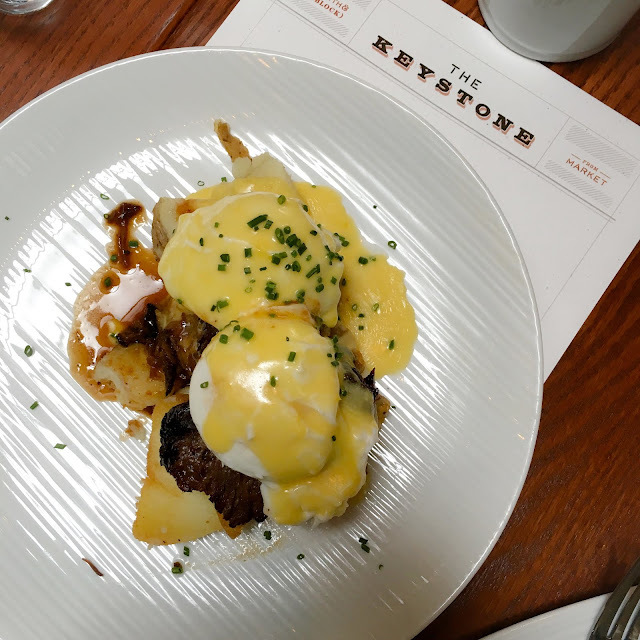 Say hello to my new favorite brunch spot in Union Square - The Keystone. Conveniently located just a walk away from the mall, this is your new go-to spot for charging up before hitting those shopping bags. The sun has started poking its rays out in San Francisco, meaning that tee shirt weather is almost upon us. Of course, if you're lived in this city for as long as I have, you know that a little heat is not enough reason to forgo the layers. So, warm as I am, my jacket still comes with me. I got this one this past holiday season simply because I loved the statement faux-fur stole attachment adorned upon the jacket. It's basically a scarf and jacket in one. You've seen this jean and OTK boot combo many a time (here and here last), but when something works, why not keep at it? I recently received this tee and wear it everywhere, all the time. It's soft, sheer, and has that high-low detail that makes it more than just a tee. Because its neckline is on the lower side, I typically pair it with a lace bralette for an added touch. And when I say I'm wearing this tee everywhere I mean it. You can catch me in it when I'm running errands and when I'm heading out for a night on the town. It's the perfect work and play tee. San Francisco is envied for more reasons than one. Despite its occasional Karl the Fog days and higher than average rental market rates, everyone wants a little piece of the city by the bay. One of my favorite reasons for living in this city is being able to experience all of the magical restaurants that pop up around town. 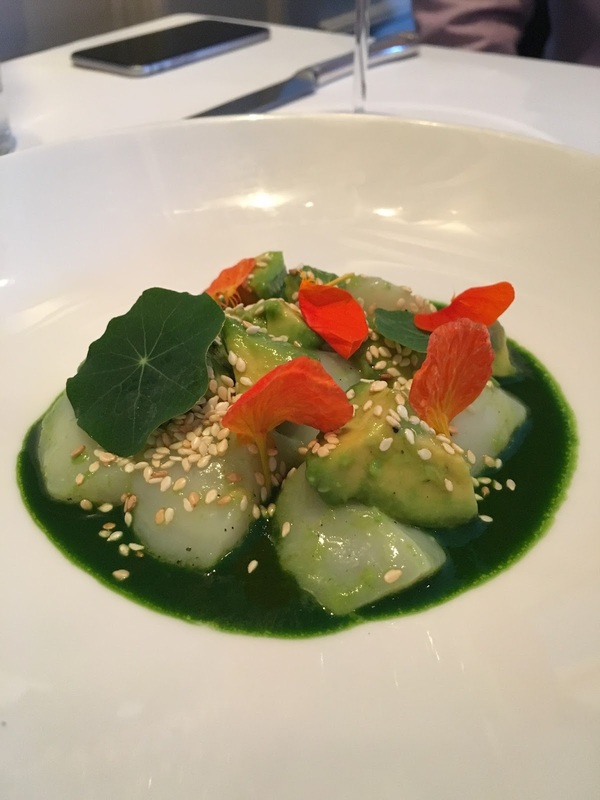 Earlier this year, I had the opportunity to dine at Pacific Height's Michelin-rated, Nico. Nico quietly sits on Sacramento Street and you can easily walk by it's simple exterior not knowing about the hidden gem you're about to pass by. 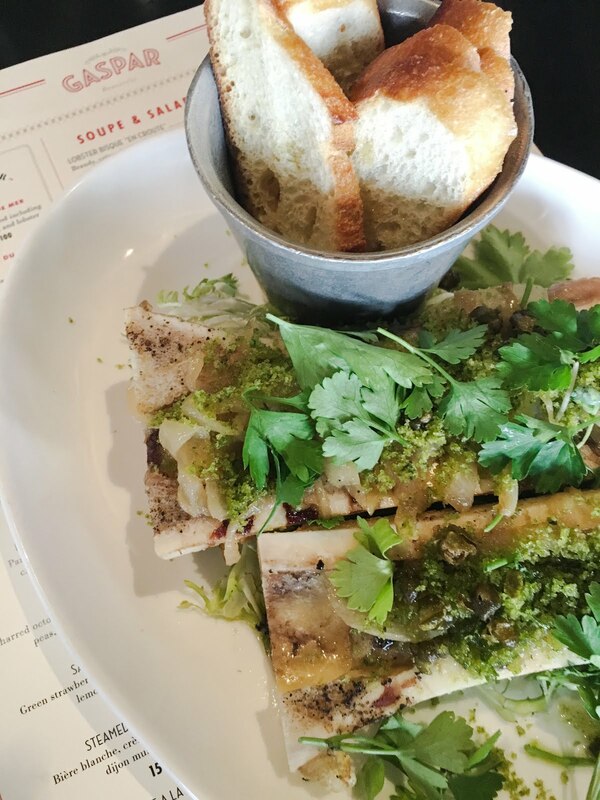 But, if you're in the know (and you usually are if you're a true San Franciscan foodie), you know that Nico is a place you don't want to pass up. 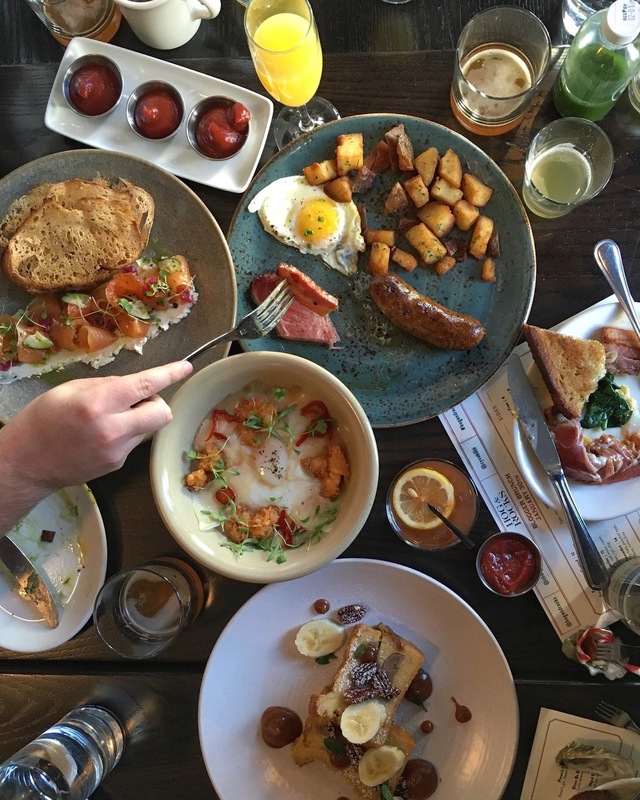 I don't know if I've officially gone on the record about this, but if not, here it is - brunch is my favorite meal of the day. Don't get me wrong, I love a good dinner, but there's nothing like a good brunch in my humble opinion. So, when the Hog and Rocks team invited me to try their brunch menu one lovely Saturday afternoon, there was just no way I could say no. So, I didn't. We're a couple months into the new year, but everyday's a great time to start new, right? 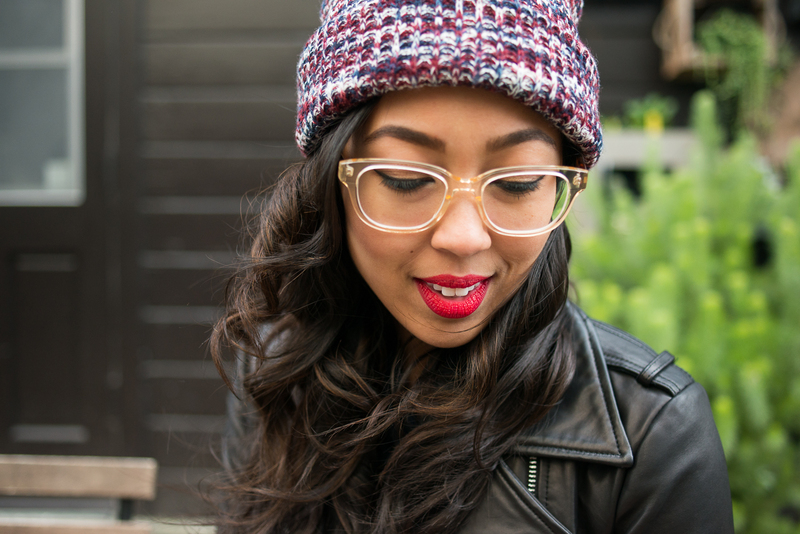 Earlier this year I decided it was time for a new pair of frames, because new year, new me, duh. No, but really, I hadn't changed up my frames in a while (2013, maybe?) and I thought 2016 was a good time to switch it up. Most of the time, you will find me in my contacts, but during the evenings and days after a long one, my eyes cry for glasses. I recently found out about JINS Eyewear's 15 minute in and out refraction service provided by 20/20 NOW, so I decided to give it a whirl and update my eyeglass prescription. I appreciated the fast and easy experience and really enjoyed that JINS was just a short walk away from Union Square and downtown SF. Honestly, the hardest (and longest) part about the whole experience was picking out my frames because JINS has more frames than you can imagine. After sifting through the grand selection of frames, I finally settled on these hip clear frames. The best part about the whole JINS experience is that you can settled on a pair and pick them up in 30 minutes or less! So, you're looking at an hour (or two, if you're like me and need forever and a day to pick out that perfect pair of new frames) in and out - from getting your eyes checked to putting your fresh frames on your face. So far, I've gotten a lot of love for my new lenses. And, I've got to say, it was nice stepping out of my love affair with tortoise shell frames. Special thanks to JINS for making everything so quick and easy. 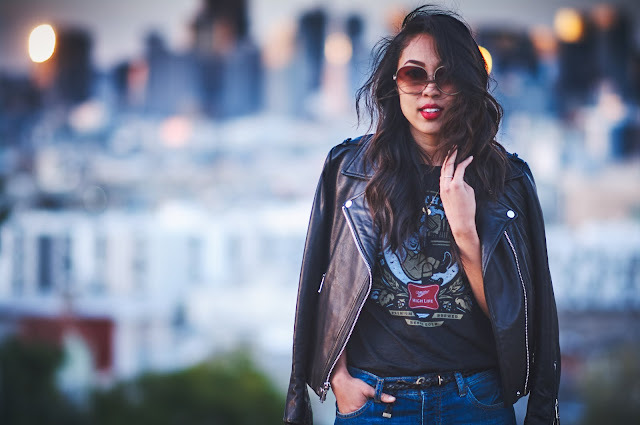 Have you guys ever read that one quote that goes something like, "I thought that having a leather jacket would change my life and I was literally 100% totally right"? Well, that's pretty much how this little lady has felt since adding a true black leather jacket to her closet. There are always those staple items that everyone talks about - the power pump, the camel trench, the crisp white button-up, the leather jacket... Now that I'm getting even older (think late 20's, you guys, which is nutty when you think about how old I was when I started this blog), I've been more into investment pieces. Less into fast fashion, except when it comes to festival season and those little one-off's here and there, and more into good quality items. 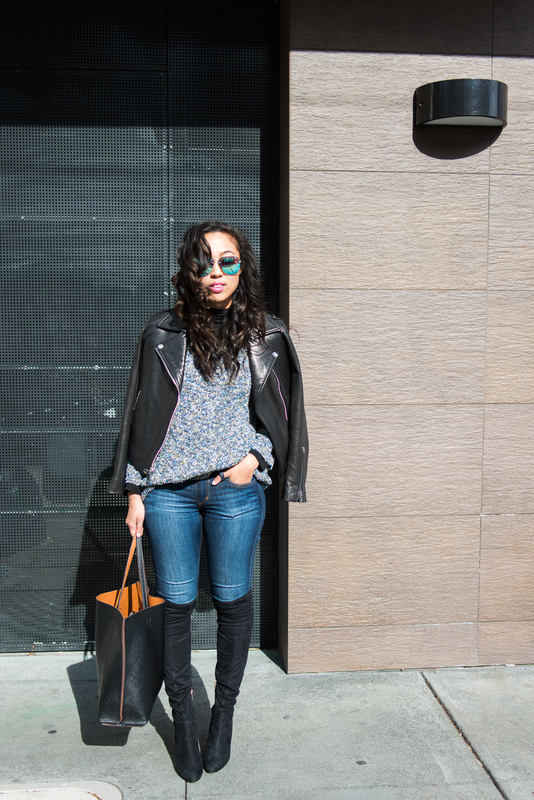 I've got to say that since this leather jacket made its way into my arms, my closet has felt so much more complete. I wear it all the time, everywhere, because it's classic and literally goes with everything! Do you guys have a clothing item that changed the game of your closet? I know I can't be the only one.